This slim volume (82 pages) by former Archbishop of Canterbury, Rowan Williams, is based on talks given at Canterbury Cathedral as part of a series of open lectures during Holy Week 2013. Archbishop Williams identifies the elements essential to Christian life, those things that make one part of a Christian community. He sees the four most obvious as Baptism, Bible, Eucharist and Prayer, practices “constant and indispensable” for the majority of those who call themselves Christian, regardless of denomination. 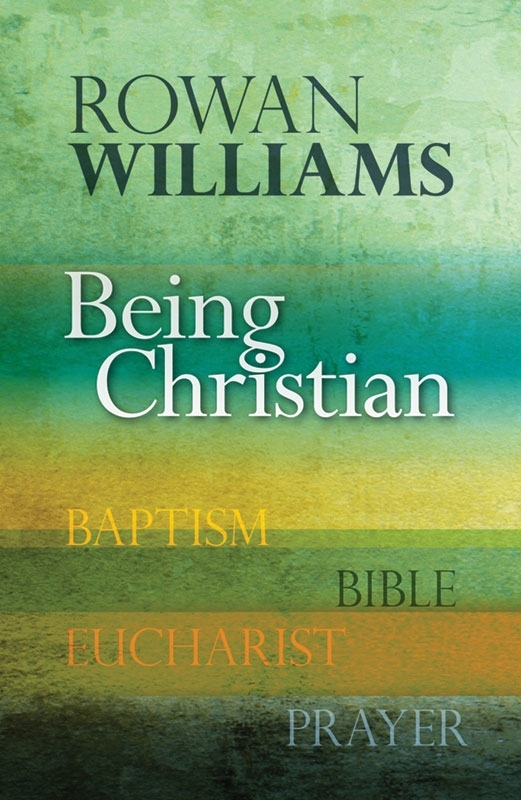 Williams traces Baptism’s beginnings to the book of Genesis and its description of a watery chaos from which the world was created from the great wind of God’s spirit. We, too, emerge from the depths and are reborn by the power of the Holy Spirit to share in the life and death of Jesus (Romans 6:3-4). And, although we still sin, we have the love of God drawing us from that chaos and disorder to heaven. The Bible, he says, is God telling us a parable or a whole sequence of parables. God is saying, “This is how people saw me, responded to me, . . . and the response I made. Where are you in this?” He sees the Bible not as a chronicle of past events, but living communication from God. 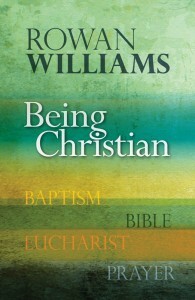 Christians, Williams believes, see the Bible’s entire story converging on Jesus. In the Eucharist, Williams states that Jesus tells us he wants our company and his welcome gives us the courage to open up to him. Thus, Holy Communion becomes a constant giving and receiving, welcome and acceptance. We, like the disciples after the resurrection, eat and drink with Jesus; hence, the Eucharist can make no sense unless one believes in the resurrection. The final chapter discusses Prayer, which Williams defines as a growth in Christian humanity leading us to clarity of vision and disciplined action that slowly transforms. It is an increase in self-awareness that becomes less what we do but what we are letting God to do to us, the life of Jesus coming alive within us. At the end of each of the four chapters are three questions for discussion or reflection making this an excellent book for study groups as well as individual use. Rowan Williams served as the 104th Archbishop of Canterbury from 2002 to 2012 and is now Master of Magdalene College, University of Cambridge. He is a prolific writer and poet.